Cordyceps – used in traditional Chinese & Tibetan medicine to counter fatigue; helps to balance yin and yang. Reishi – known as the “Mushroom of Immortality”; believed to have life-extending properties and is used in traditional Chinese medicine (TCM) to heal, improve health and promote longevity. Coprinus – known for powerful antioxidant properties; helps to keep skin calm and resilient. Fermented Chaga – known to act as a powerful anti-irritant; believed to have “life-extending” properties in Russia. 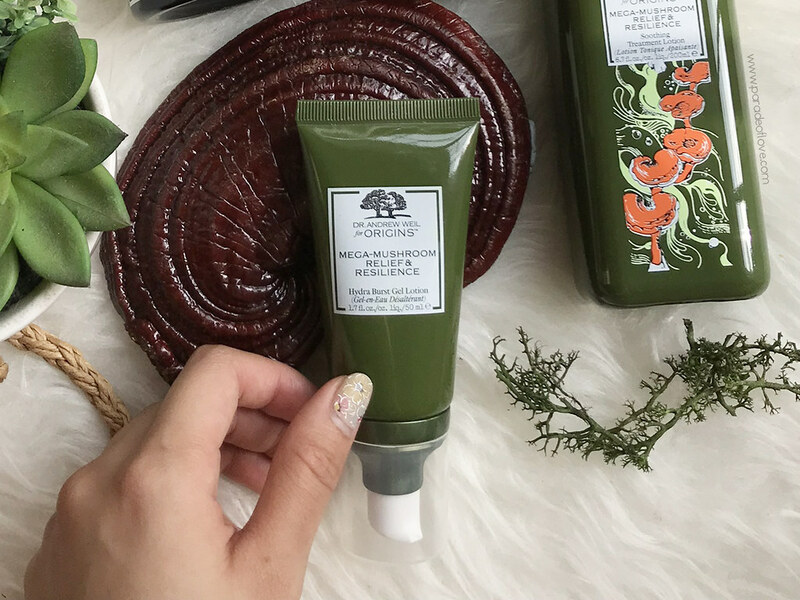 Other than the mega mushrooms, this innovative moisturiser is also made with Sea Buckthorn, an antioxidant-rich berry from China that is known for its anti-irritant properties. 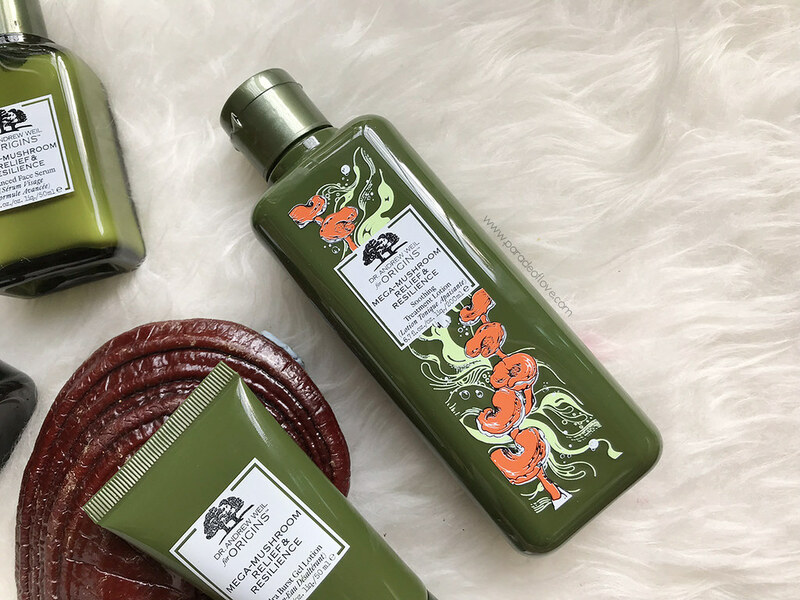 It is a popular choice of ingredient in skincare that promotes skin resilience, hence, I was even more excited about the gel lotion when I found out that it was formulated with Sea Buckthorn! 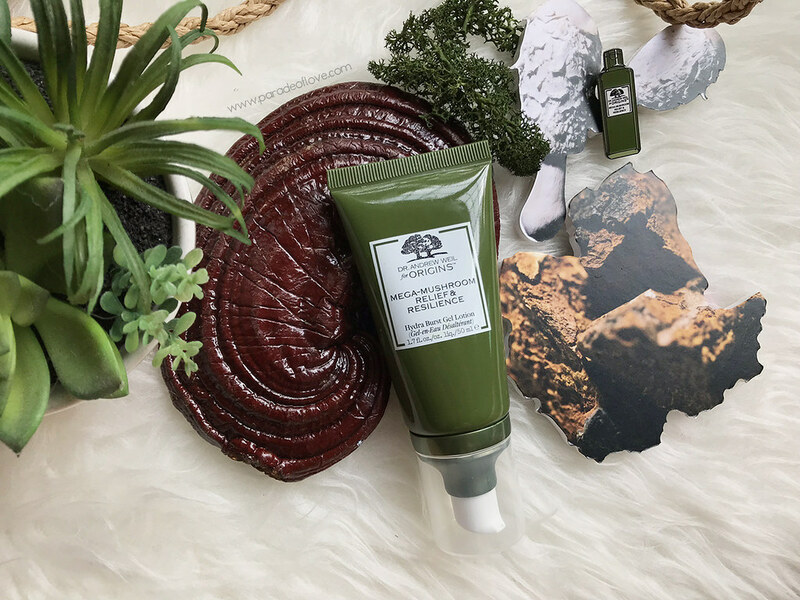 In terms of texture, the gel lotion bursts on contact and drenches the skin with moisture through its nutrient-rich, Chaga-infused, micro-hydra droplets. 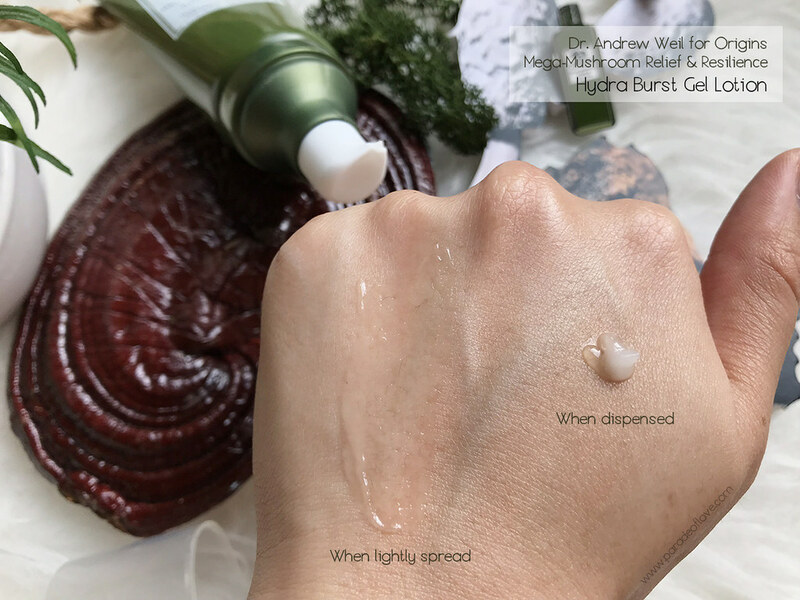 In other words, you will first dispense a gel-like substance and upon contact with the skin, the gel melts into a watery texture so lightweight that it’s perfect for the tropical climate! It absorbs very quickly and doesn’t leave a sticky residue – which is ideal for users like me who prefer a lighter texture. In addition, what I enjoy most about the gel lotion other than the light texture is the soothing aroma. 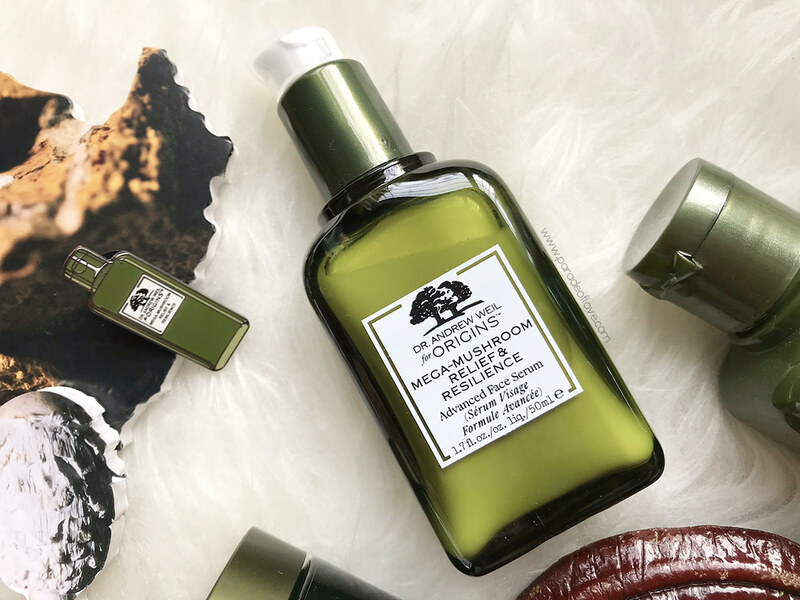 It has this uplifting, herbaceous scent that’s made up of olibanum (a.k.a. Frankincense) and a fresh essential oil blend of certified organic geranium, orange, patchouli and lavender. It makes me feel like I’ve just stepped into a spa parlour every time I apply onto my skin! To sum it up, this moisturiser has been keeping my skin in check. It is the reason why my skin appears less red and sensitive, especially around my cheeks and sides of my nose. It keeps my skin hydrated throughout the day which helps my makeup stay longer without caking up. It’s two thumbs-up for me! For about 4 years now, I’ve been using the Dr. Andrew Weil for Origins™ Soothing Treatment Lotion and Advanced Face Serum. They are light in texture, and they help to reduce redness and restore resilience in the skin. Whenever my skin feels irritated or dry, these are the products I turn to, to calm, hydrate and save my skin. I can’t live without them so much so that I even have little travel sizes to bring them on my trips. This is how much I trust the Dr. Andrew Weil for Origins™ range. The Advanced Face Serum was also on my top 5 serums list! 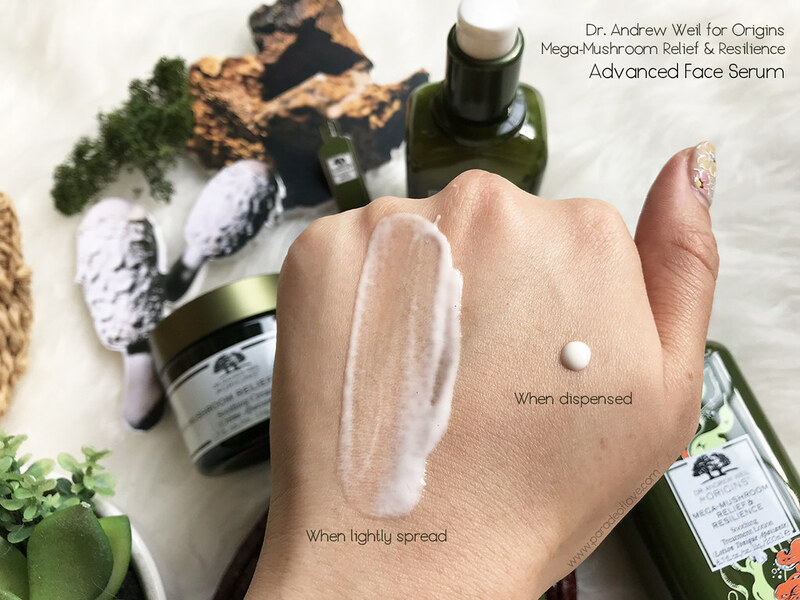 Additionally, if my skin requires an extra boost of hydration, especially if it’s really dry from being in an air-conditioned environment, I’ll slap on the Dr. Andrew Weil for Origins™ Mega-Mushroom Relief & Resilience Soothing Cream. 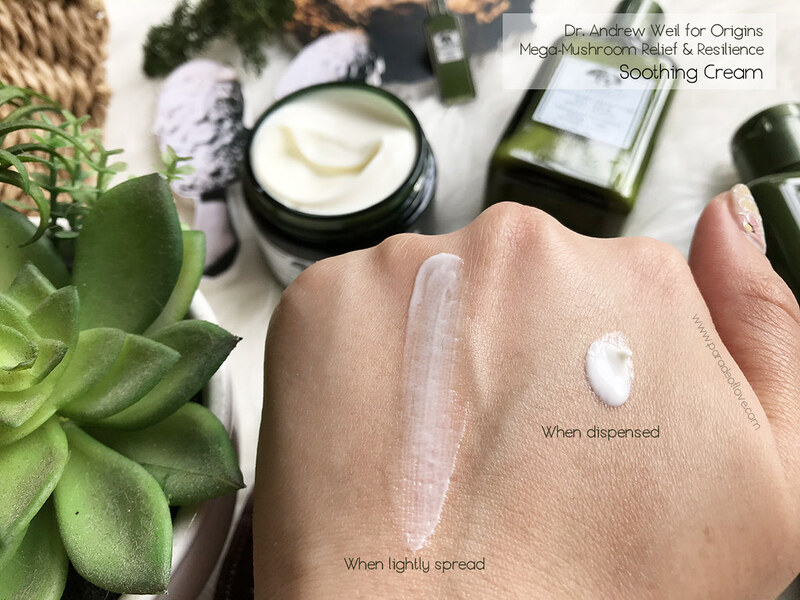 This mega-hydrating cream can really calm and instantly boost hydration to my skin! It is a cream after all, hence it feels thicker than the gel lotion, and I prefer to use this at night before bedtime. Sensitive skin? 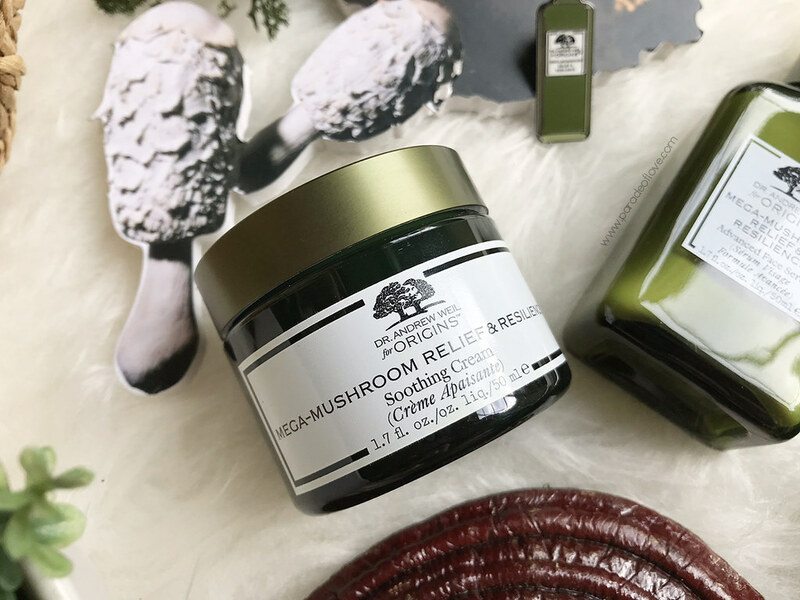 Dr. Andrew Weil for Origins™ Mega-Mushroom Relief & Resilience (omg this is such a mouthful to say, hahaha)! 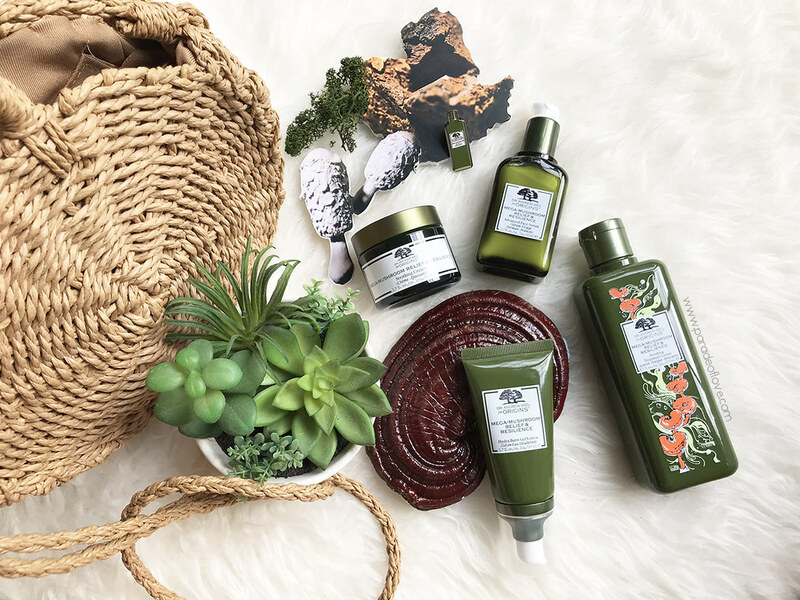 The Dr. Andrew Weil for Origins™ Hydra Burst Gel Lotion is available at Origins stores islandwide, Sephora and Lazada for SGD123. Disclaimer: Products were provided by Origins Singapore for consideration. The above review is based on my true, honest opinion and experience, without influence from others or the brand. It contains information from the brand. I am NOT affiliated to nor compensated by the brand.